Meet my parents. 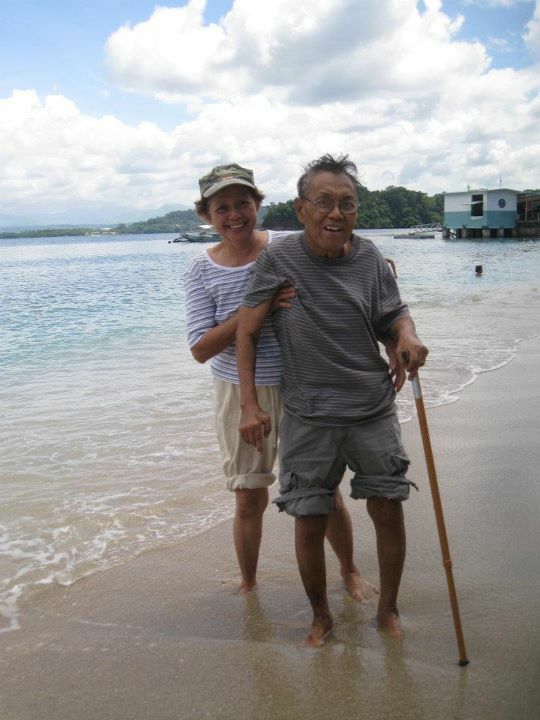 If there's anyone who has a tremendous fighting spirit, it would be my parents. My Dad, 79, had a quadruple heart bypass about 10 years ago and was diagnosed with stage 5 chronic kidney disease a couple of years ago. But he still pushes himself to live. 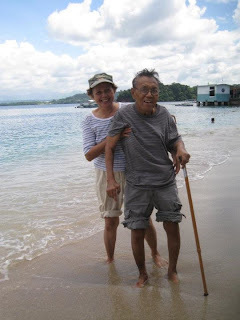 My Mom, 68, with her true LOVE, continues to care for my Dad even though her own health needs attention. I'm not sure if I have it in me...maybe only time can tell. "We all live at the same speed of life - 365 days a year. It's the choices we make that differentiates us from one another." 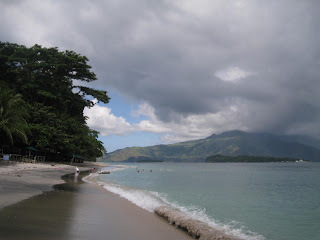 Photo credit: taken with my Canon digi cam at Subic Pampanga in the Philippines. May God strengthen your parents and protect them. Their love for each other surely is evident...the kind that endures...We are blessed to have been surrounded by many beautiful beaches back home. God bless. Saying a prayer that your parents continue to keep fighting! A lesson for all of us.